Mike Preshman (left) and Matt Manger at work at Veracode, where employees set their own vacations. Most people dream of being able to take as much vacation as they want. But at a growing number of companies, especially young technology firms, employees are getting unlimited time off. And incredibly, they’re not taking advantage of it. Many of these workers are taking the same — or even less — vacation time than when they had a fixed number of days each year. Workers have so embraced the 24/7 work culture that one California software firm pays its employees extra if they agree to take an uninterrupted week off. While only a small percentage of companies nationwide have stopped restricting time off, there are some notable examples, including Netflix. But the numbers are much larger among the small technology firms and start-ups that dominate the Massachusetts economy. Doug Schade, a recruiter at WinterWyman in Waltham, estimated that as many as 10 percent of the local tech firms he works with offer unlimited vacation, and he predicted the trend will spread rapidly as more employers move away from rigid work policies. In this hyper-connected world, with smartphones and tablets tethering workers to the office on nights and weekends, the line between work and play has become so blurred that keeping tabs on their hours is almost irrelevant. When Evernote, a software firm in Redwood City, Calif., removed limits on vacation time two years ago, some employees reacted with confusion: So, how much time should they really take? To clear things up, chief executive Phil Libin introduced an incentive: $1,000 a year to any employee who took at least a full week off. And it has to be a real trip — no staycations allowed. The rub? Libin himself hasn’t taken a vacation in years. Mike Woodard is one of those dedicated workers who had to be scolded by his boss to take time off. Woodard, the 33-year-old vice president of creative technology at the Portsmouth, N.H.-based design agency Mad*Pow, hasn’t taken any vacation since the company removed restrictions a year ago. In the past, when Woodard had only a few weeks a year, he usually took it all. “When you only have a limited resource, you feel more compelled to use it,” Woodard said. The new policy is a great morale-booster, said Mad*Pow founder Will Powley, even if employees are not taking advantage of it. Designer Ciara Taylor (left) and art director Stephanie Wykoff at Mad*Pow design agency’s Boston office. But keeping workers’ spirits up is not the only motivation for companies; it’s also a good business move, a carrot to attract hot job candidates and a money-saving device because they do not have to pay out unused time when an employee leaves. And in the end, workplace specialists say, there is no evidence that employee productivity is slacking, because people are taking about the same amount of time off. The Boston marketing software company HubSpot was among the first local companies to adopt unlimited vacation, which chief operating officer J.D. Sherman describes as “two weeks to infinity.” And, as at other companies, the “infinity” side of the equation is not the problem. “I did sort of lightheartedly threaten to make sure everyone takes the minimum,” said Sherman said, adding that the company suggested the two-week starting point for employees who were struggling to figure out how much time to take without an official policy to guide them. “That’s probably a sign of the changing times of the workplace,” Sherman said. Of course, free-ranging vacation is not practical for many businesses. 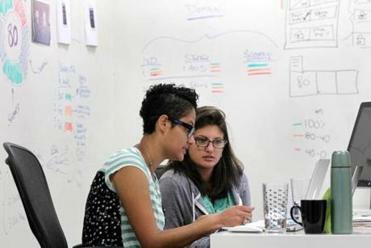 At Communispace, a Boston agency that connects brands with consumers, employees work in teams. Chief executive Diane Hessan worries a loose arrangement would result in last-minute days off, leaving co-workers in a bind. But because time off is a valuable commodity, Hessan recently started giving employees a paid monthlong sabbatical, on top of their regular time off, when they hit the 10-year mark. “Taking care of your employees is way, way more important and more strategic in 2013 than it ever was because people have so many choices” for other jobs, she said. Yet companies with open-ended vacation report it has freed them from typical end-of-the-year hassles over work schedules. When Waltham health care software firm PatientKeeper had a set vacation policy, employees often scrambled to use their remaining days before the end of the year. Having so many people out in December was bad for business, interrupting projects and end-of-the-year deadlines, said Mike Southern, vice president of human resources; occasionally the company had to call software developers or engineers in from vacation to deal with an issue. Letting employees take control of their schedules was a no-brainer, Southern said. PatientKeeper trusts people not to raid the beer fridge in the middle of the day, so why not trust them to manage their vacation time?